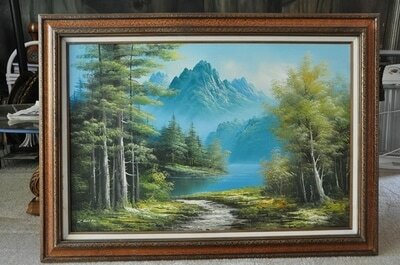 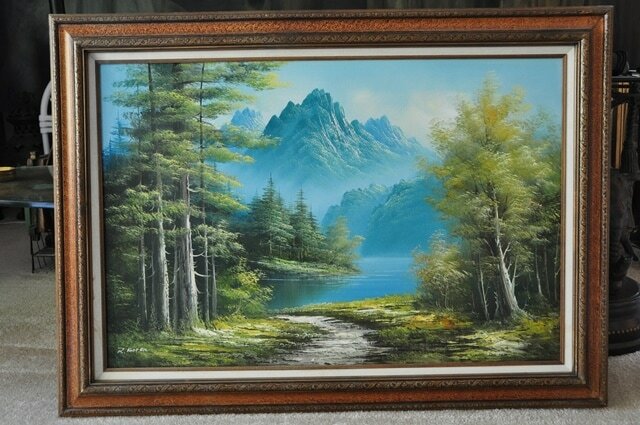 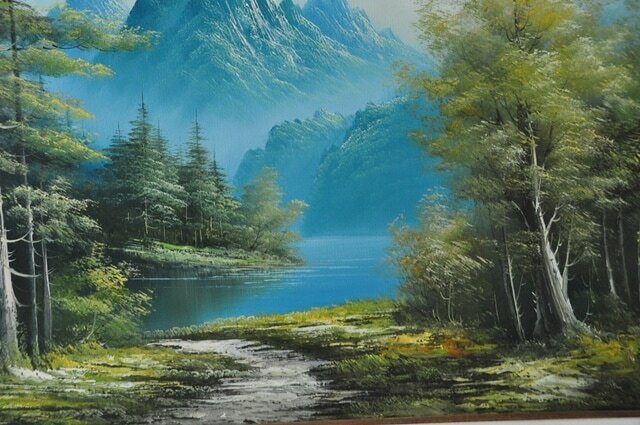 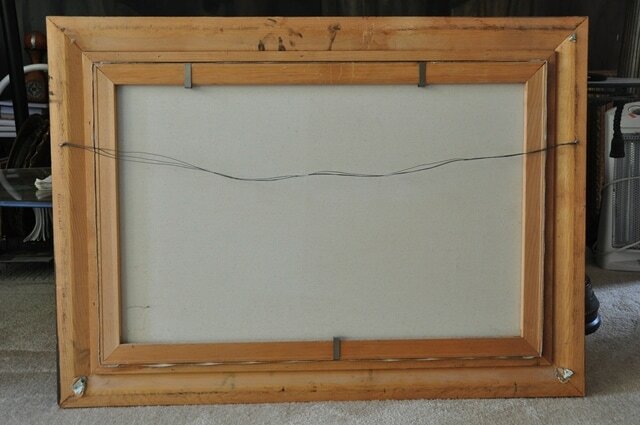 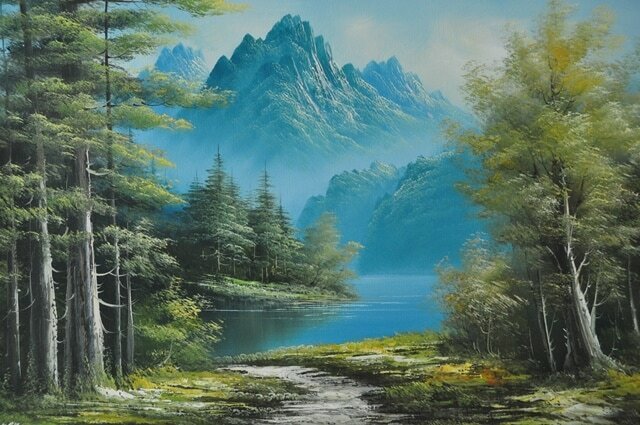 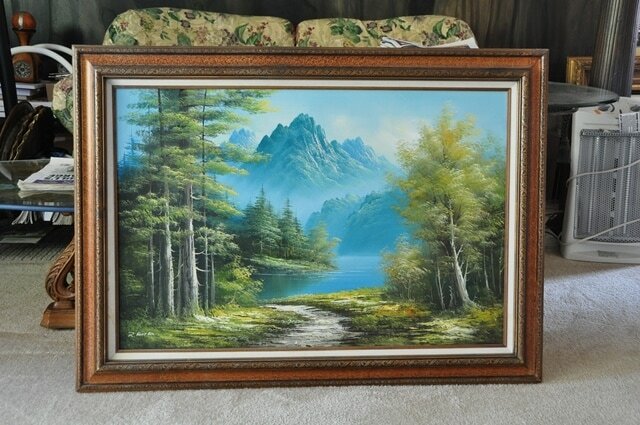 This is an original landscape painting in a very nice wooden frame. 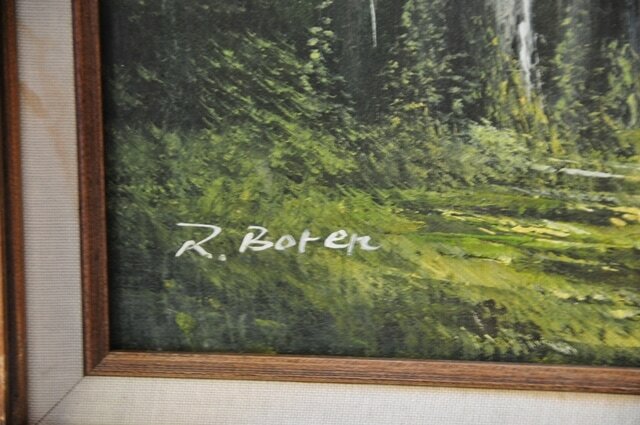 The oil on canvas is signed R. Boter. 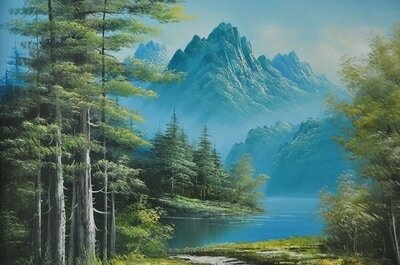 The scenery shows redwood trees, lake/river and mountains. 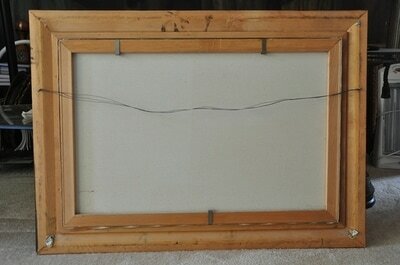 The frame is 43"x32" in size.